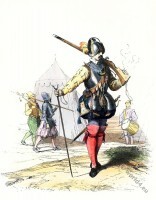 German citizens fashion 16th century. Renaissance. Home » German citizens fashion 16th century. Renaissance. 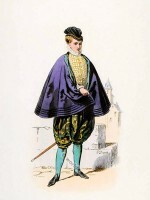 German citizens fashion in the first third of the 16th century. 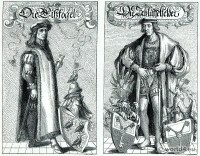 German citizens in 1520. Both women wear the round cut Cotta, or Gamurra with long, luscious decorative sleeves. 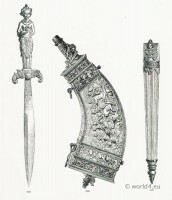 The Gamurra was closely fitted and emphasized the figure of the woman. The cut was mostly kept around. 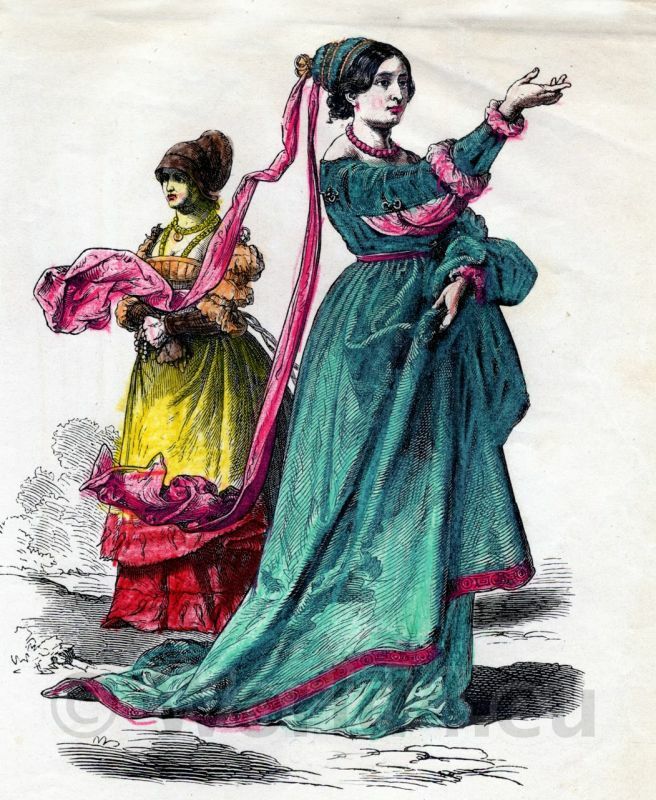 The sleeves were ornate and fanciful, usually sewn only slightly and could be replaced. 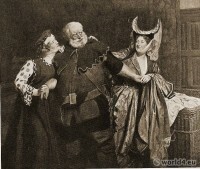 Source: “On the history of costumes”. Münchener Bilderbogen (Munich pictures sheets). Published by Braun & Schneider, Munich c.1858 -1898s. This entry was posted in 1520, 16th Century, Germany, Renaissance and tagged Cioppa, Cotta, Medieval costume, Münchener Bilderbogen, Renaissance fashion era on 3/29/13 by world4.